Real estate transactions can be overwhelming. From purchase agreements and title insurance to escrow and closing, the process is filled with technicalities that an ordinary homebuyer may find hard to fully understand. Fortunately, providers of escrow services in Washington, D.C. and other title services are always around to help. Eastern Title is a title and settlement company that provides escrow services to Washington, D.C., Maryland, and Florida clients. We want to make the home sale process as smooth and seamless as possible. For this reason, we use a service-oriented strategy to help our clients get the most value for their investment. Whether you’re looking for a reliable provider of escrow services in Washington, D.C. or other title services, you can rely on our agents to produce superior results. Title Companies and Escrow Services in Washington, D.C.
A title and settlement firm ensures that a property’s title is clean and free of any encumbrances. These include outstanding liens, pending lawsuits, forgeries, frauds, omissions, and documentation mistakes. Once done with the title search, the firm issues indemnity insurance to protect both homebuyers and lenders. Title policyholders are then insured against damage or loss that is sustained from title defects or unenforceability of mortgage loans. Apart from performing title searches and issuing title policies, a title agency may provide escrow services in Washington, D.C. When providing escrow services in Washington, D.C., the firm serves as the third party that’s in charge of transaction assets, rights, and instructions, among others. Purchasing a home is comprised of complicated steps, one of which is the escrow process. In this period, the property being sold and the buyer’s payment are in “limbo” or the care of a provider of escrow services in Washington, D.C.
A provider of escrow services in Washington, D.C. serves as a middleman between the buyer and seller. Acting in a neutral manner, a provider of escrow services in Washington, D.C. holds assets on behalf of the transaction participants until everything is finalized. This means that all obligations and disagreements must be fulfilled and resolved before the provider of escrow services in Washington, D.C. can transfer the securities, titles, and funds. Finding the Right Provider of Escrow Services in Washington, D.C. Experience of the Provider of Escrow Services in Washington, D.C. When you’re comparing providers of escrow services in Washington, D.C., check their history. How long has the company been in the business of providing escrow services in Washington, D.C.? Do they have enough experience? Choose one with an excellent track record in performing results-oriented escrow services in Washington, D.C.
Communication With the Provider of Escrow Services in Washington, D.C.
A great provider of escrow services in Washington, D.C. knows how to communicate well with clients. You want a provider of escrow services in Washington, D.C. that can present you relevant information in a transparent and quick fashion. By being well-informed about your situation, you can more effectively weigh your options and score the best real estate deal. Location of the Provider of Escrow Services in Washington, D.C.
Another important consideration is the location of the provider of escrow services in Washington, D.C. It’s best to hire an escrow agent who’s based in the same region as your transaction and who’s familiar with the real estate terms or policies particular to that area. Invest in Our Escrow Services in Washington, D.C. Need a provider of escrow services in Washington, D.C.? Look no further than Eastern Title! We’ll be with you every step of the home buying process, from title searches and purchase agreements to escrow and title insurance issuance. Call us at 240-403-1285 or visit our website for more information about our escrow services in Washington, D.C.
Eastern Title offers commercial title and escrow services, such as title insurance, settlement services, as well as commercial and residential purchase agreements. Our company has more than two decades of combined experience in the business. We are committed to helping our clients with various aspects of residential and commercial property transactions, such as refinancing, land titles, and purchase agreements. Count on us to go the extra mile to make sure that you have a good experience with us, whether you are buying, selling, or developing a property. Over the years, we have been serving clients from Maryland, Virginia, and Washington, D.C. Some of our clients include contractors, developers, lenders, realtors, investors, attorneys, and borrowers. Mortgage brokers, as well as house sellers and buyers, have also reached out to our company for assistance. Recently, we have extended our services to residents of North Carolina, South Carolina, Tennessee, and Florida. We are excited to work with more clients in other locations. Purchasing, selling, or developing a property entails a lot of paperwork. Seek help from an established and experienced firm. Eastern Title can help simplify the process for you. We are experts in providing comprehensive sales, as well as closing and land title transactions. Eastern Title has extensive experience in handling different land transactions. We can assist you if you are looking for a lot or a land parcel. Whether you are buying or selling a land or lot, count on our trained staff to help you find the best deals and succeed with your transaction. Put your house up for sale, find a buyer, and secure a great deal without a real estate agent representing you. At Eastern Title, we can simplify the process of selling your home without paying for a real estate agent. Our company can assist you with closing and land title transactions for both residential and commercial properties. Are your looking for ways to lower your mortgage payment every month? Or are you figuring out how to fund your home improvement project? Are you wondering how you can better pay your loan? Turn to us for assistance with the different aspects of refinancing. We can help you make better financial choices and get the best possible rates. Our clients’ interests come first whenever we transact business with them. Rely on us to help you with your construction agreement, and we will make sure that you will get the results that you want. Trust none other than Eastern Title to help you in purchasing or selling pre-owned and foreclosed properties. We can readily assist you with REO as well as short sale real estate deals. 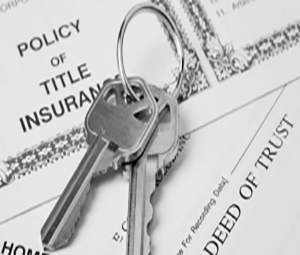 A title search is the process involved whenever there is a change of property ownership. This includes retrieving documents and public recorded acts, such as liens, judgments, contracts, or mortgages, to check a property’s legal condition. If you need help with your residential or commercial real estate transaction, turn to Eastern Title. Give us a call at (240) 403-1285 or send us an email at [email protected] Our admin offices are open from Monday to Friday, from 9:00 a.m. to 5:00 p.m. You may also visit our website at www.easterntitle.com to learn more about our services. We look forward to serving you!